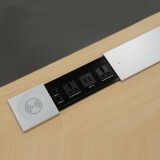 Easy edge mounting electric box is ideal for any work desk and poratble. 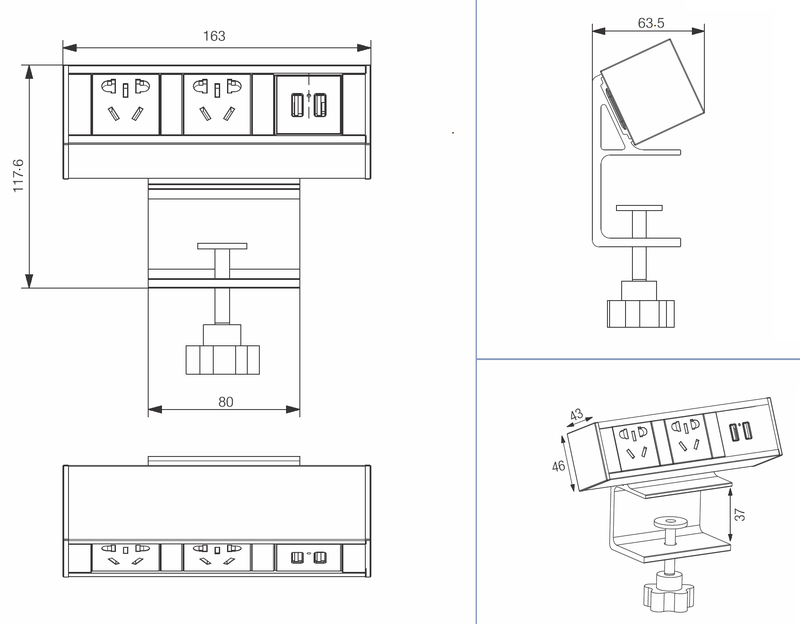 Easy ‘clamp-on’ mounting makes it flexible to use on any table and mount anywhere you wish. 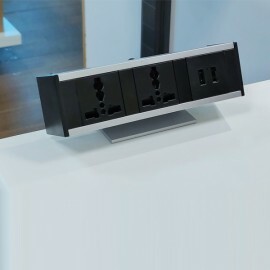 The unit includes 2 Universal Power Sockets and 2 USB Charger Sockets.